Fullness under the chin (or double chin) is a concern for many people. BELKYRA® is the only non-surgical injectable treatment for reduction of fullness under the chin that has undergone rigorous clinical evaluation. Until now, treatment options for submental fullness have been limited to surgical options such as liposuction and non-surgical in-clinic procedures that require handheld devices, or aggressive weight-loss regimens with potentially limited improvement. When injected into fat under the chin, BELKYRA® permanently destroys fat cells. Once destroyed, those cells cannot store or accumulate fat. A degree of discomfort is normal with these injections. 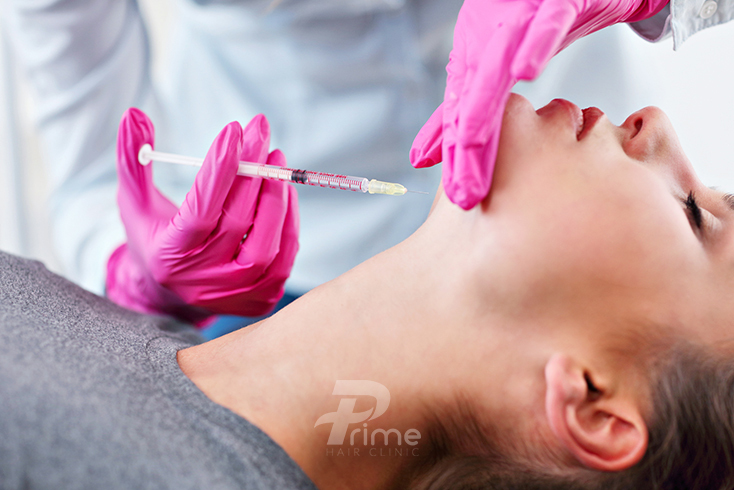 The majority of patients will experience swelling and injection site pain. Swelling may persist for several weeks, and nerve involvement is a possibility. Treatment with BELKYRA® takes place in-clinic by one of our trained medical professionals. Many people experience improvement after two to four treatment sessions spaced at least four weeks apart up to a maximum of six treatments in total. We will carry out a full facial assessment to help you determine how many treatment sessions you may need based on the amount and distribution of the fat under your chin and your personal goals. The active ingredient in BELKYRA® (in the U.S. KYBELLA®) is deoxycholic acid which is a molecule naturally occurring in the body, that can disrupt the cell membrane of targeted fat cells, allowing them to collapse and be disposed of naturally. Once destroyed, those cells cannot store or accumulate fat. 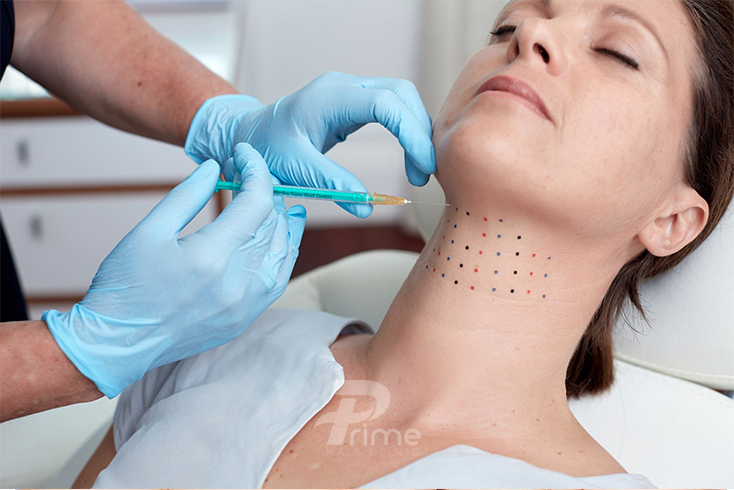 After mapping out the area under the chin, small injections are used to introduce the BELKYRA® and after a short series of treatments, you can expect your double chin to disappear. BELKYRA® can cause serious side effects, including injection site problems such as bruising, hair loss, open sores (ulcers), and damage and tissue cell-death (necrosis) around the injection site or trouble swallowing and nerve injury in the jaw that can temporarily cause an uneven smile or facial muscle weakness. In clinical studies, nerve injury in the jaw resolved on its own in a median of 44 days, and trouble swallowing resolves itself in a median of 3 days. The most common side effects are swelling, bruising, pain, numbness, redness and areas of hardness around the treatment area. When injected into fat under the chin, BELKYRA® causes the destruction of fat cells. Once destroyed, those cells cannot store or accumulate fat. After reaching your desired aesthetic, further treatment is not expected. The average person has 2-4 treatments (up to 6) before achieving their desired result. Is Belkyra® Right For Me? If you’re bothered by fullness under your chin and wish to avoid surgery, ask ask us about BELKYRA®. Men and women have been quite pleased to have permanently eliminated their double chin with this new therapy.